Nitrous oxide (N2O) is a greenhouse gas that poses a greater threat to global warming potential than carbon dioxide, and is currently increasing in the atmosphere. The understanding of what is driving this increase, and whether it is human-related is an important scientific question. Using Wavelength Electronics’ precision temperature controller and low noise QCL driver, researchers at Princeton University developed a compact, field-deployable sensor to simultaneously measure nitrous oxide (N2O) and carbon monoxide (CO) to help answer that question. Subscribe to our newsletter for tips, techniques & product updates. Thermistors are devices whose resistance changes non-linearly based on their temperature. 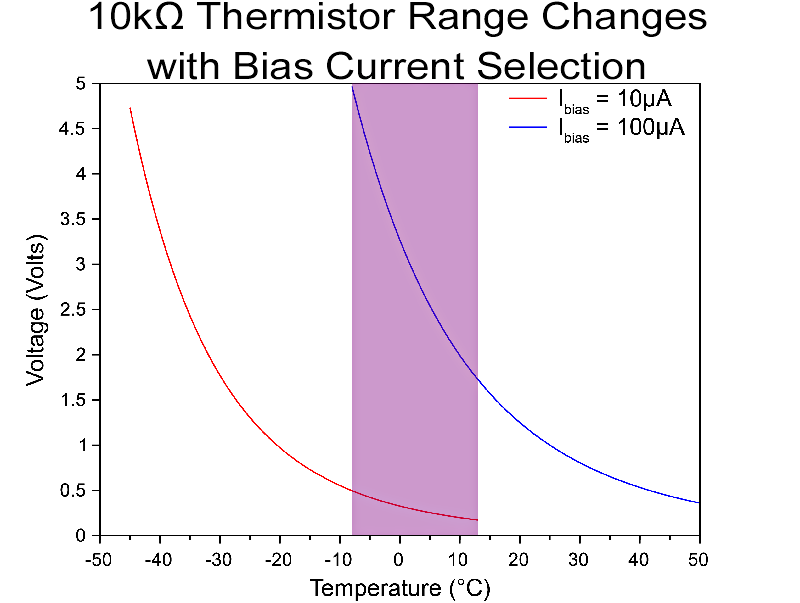 A properly selected thermistor can measure temperature differences on the order of ±0.0005°C. 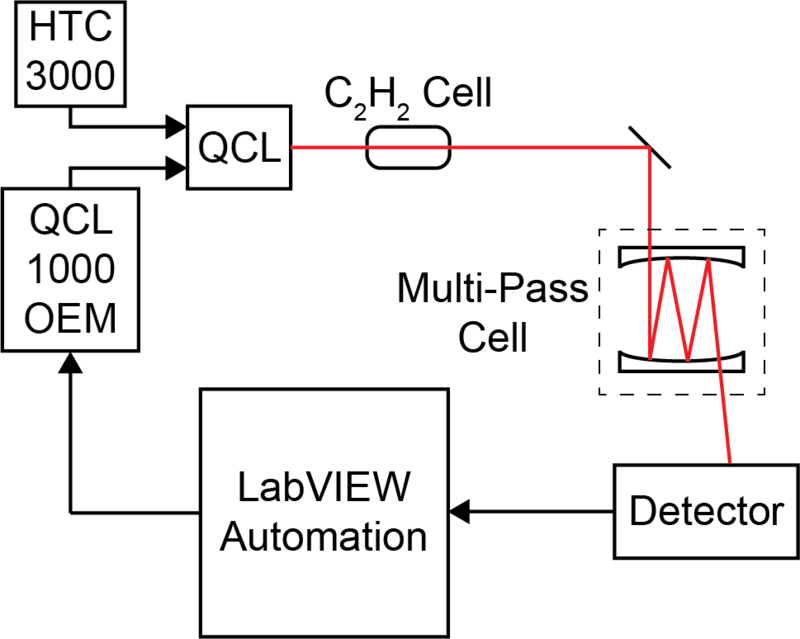 Calibration coefficients are determined by the Steinhart-Hart equation for a given thermistor, temperature region, and bias current and provide the best curve fit depending on which part of the thermistor range is being used. The LDMOUNT is specifically designed for 14-pin butterfly laser diodes that have integrated Thermal Electric Coolers (TECs) and Thermistor sensors. It supports laser diodes up to 5A and TECs up to 5A. A zero insertion force (ZIF) socket accepts all standard 14-pin butterfly laser diode packages. 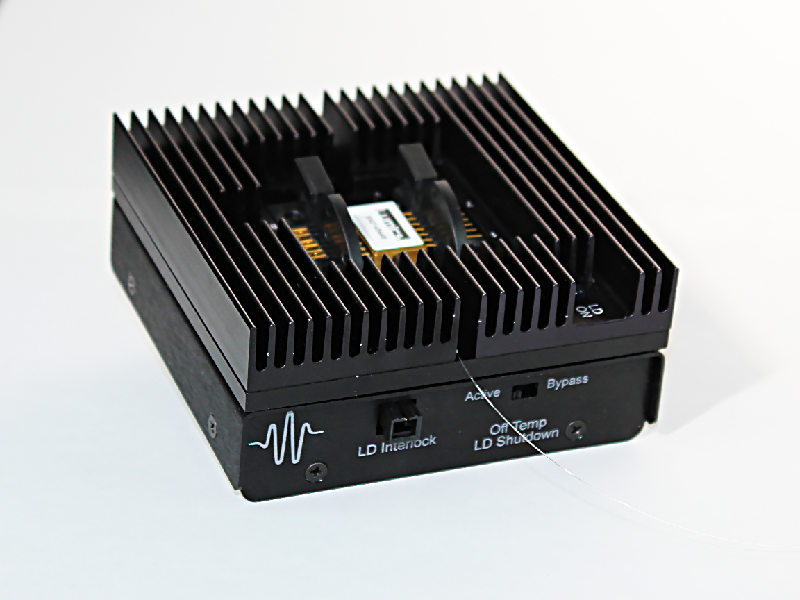 Two common laser diode types are supported with the standard card. A custom configuration card allows the laser mount to be configured for all possible laser pin assignments. Two 9-pin DSUB connectors are compatible with 8 of our temperature controllers and laser diode drivers. Additional safety and protection features include an on board reverse bias protection diode, remote safety interlock connection, and the TEC Lockout circuit that prevents enabling of the laser diode unless the temperature controller is also enabled. The QuickStart video simulates controlling temperature for a spectroscopy application using a laser with an embedded 3A thermoelectric and a 10kΩ thermistor. It takes you through all the steps necessary to control the laser temperature quickly and easily. We have released a LabVIEW VI for easy remote computer control of the TC LAB Series instruments. Simply set up a USB or ETHERNET comm link from the TC LAB to a remote computer and access all controls through the virtual instrument. The executable file is free for download from our website. Firmware version 1.92 is the latest and gives you full access to IntelliTune® — Intelligent Autotune. For detailed exploration of IntelliTune, download Application Note AN-TC13: IntelliTune vs. Conventional Autotune. The Temperature Controller instruments are designed to be field-upgradeable. See FAQ 1149 for instructions on installing the free upgrade. 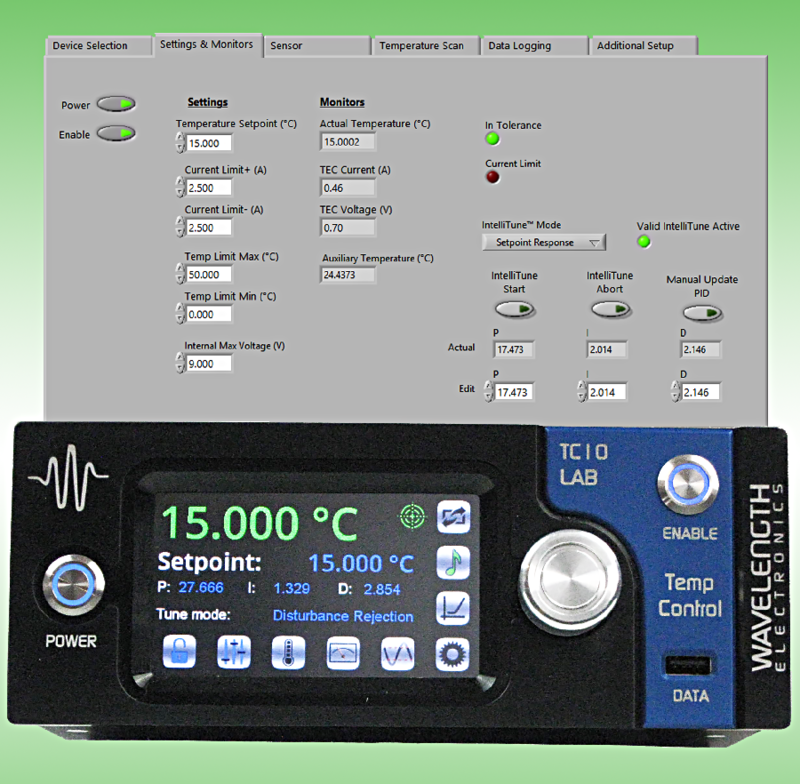 Wavelength Electronics offers a wide variety of laser diode and quantum cascade laser (QCL) drivers, and temperature controllers. There may be several options that fit your needs. So how do you chose the best match for your application? This Application Note simplifies product selection, and answers frequently asked questions. 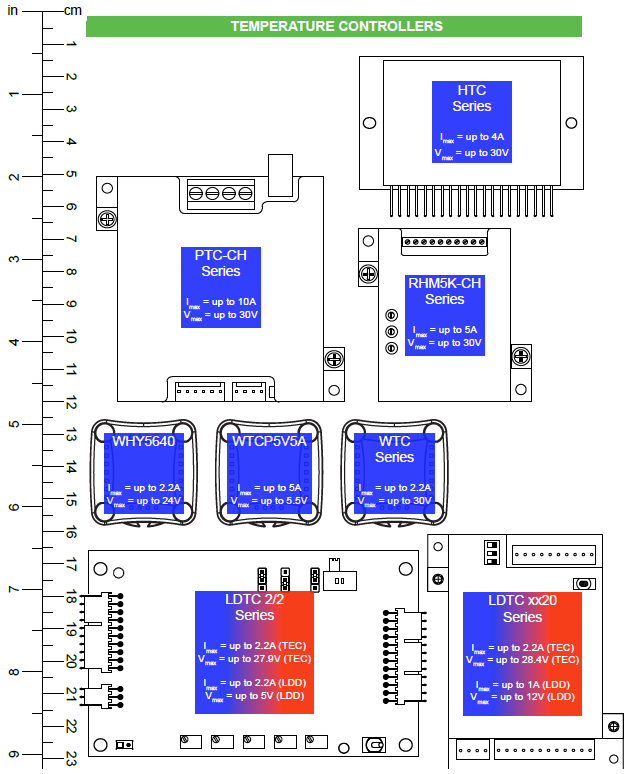 The TC15 LAB, at 15A / 20V, will offer all the features of the TC10 LAB with twice the power to the thermoelectric. 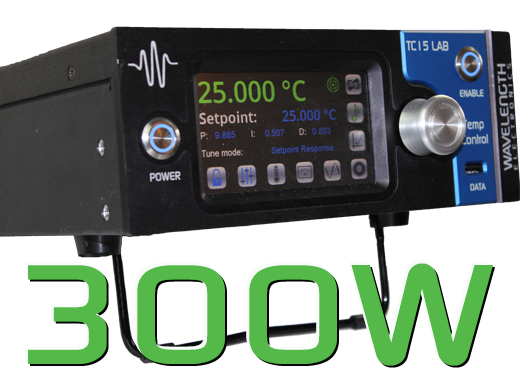 Contact your Applications Engineerfor more information on the newest LAB Series instrument. We invite you to contribute topic suggestions, questions, and general feedback. Wavelength will incorporate as much reader input as possible.